Greetings men and women of Steem, parishioners of the SteemChurch, fellow citizens of Venezuela and friends from all over the planet! There are many reasons to believe that strength is in the union. But the driving force behind that union must be to do good to who is due. As a Venezuelan I have seen that one of the causes that weakened the entire nation was the political and social division of citizens. While we discussed which political color was better, those who concentrated on power, on both sides, only sought their own interests. 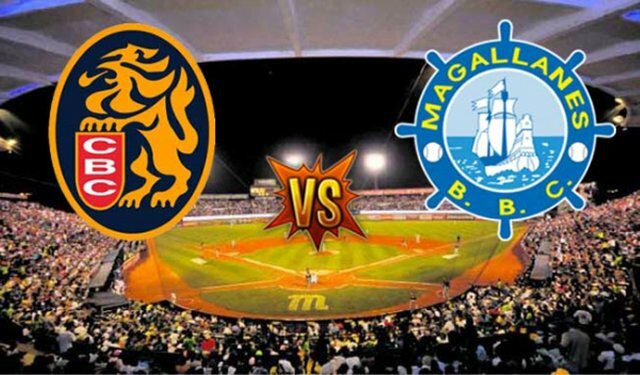 The people of Venezuela, between jokes and laughter, used to be rivals with each other, but only with professional baseball games (Caracas Vs Magallanes, a concise example) Now, the atmosphere was changing and the laughter was replaced by partisan hatreds. Although I do not usually talk about politics because it is a subject that requires a lot of objectivity to be discussed. I just put this example to highlight the importance of unity, good alliances and mutual cooperation between people as created social beings. Since I joined Steemit, it did not take me long to realize @steemchurch, created by @sirknight on December 11, 2017, a growth church accelerated by the spirit that characterizes it: Love, solidarity, motivation, growth in community , freedom and promoter of good Christian values. For this and other good reasons, I always recommended SteemChurch as a community with which solid alliances could be made to fight for the dignity of the most needy. Although for now it is a virtual Church, it is well known in physical homes for the support it provides to many families of the earth, such as Nigeria, Ghana, and Venezuela. Three territories with the highest concentration of parishioners and friends. I currently hold the position of steemchurch CEO, in the order of @sirknight, an Australian acclaimed by the steem community, for his high commitment to the block chain and beyond. His high life experience has driven those who walk with him, without leaving them behind. Because there are always new friends who want to know about the Church of Steem and also work with it. Recently an alliance was made between @help.venezuela, @steemchurch and @crypto.piotr, this last friend, gave all his votes to steemchurch for the 20K contest initiated by @theycallmedan. The reason for this wonderful partnership is mainly to support steemchurch to win the survey according to established criteria. (Many people with good intentions have voted for steemchurch but unfortunately do not meet the required requirements, among them, the reputation is less than 33, and have less than 10 publications made) Why we apologize to the organizers of this contest) . The other reason for this alliance is to help the citizens of Venezuela, due to the strong crisis that the South American country is going through. (Regardless of humanitarian aid, something that has not yet had good results due to the power struggles) Many people in Steem, have expressed their solidarity to help from this virtual environment to the Venezuelans. Among them, they are @sirknight, @crypto.piotr and @steemchurch. All of them with high altruistic sense. If more people wish to join the noble causes, not only for Venezuela, but also for the world's unassisted peoples, Welcome be. The important thing of charity is to be able to reach those who really need, in no way and under no concept, we can ignore this truth. As a Venezuelan, it gives much regret that, many of our compatriots are denounced in Venezuela and in the rest of the world as cheaters. So, steemchurch and allies are there to break that paradigm that has been created, build trust and be a great example before the national and international community. I want to personally thank @sirknight, @crypto.piotr @uyobong and all the good Cristiano de @steemchurch, for the support and trust they have given me. Following this alliance, many members of both communities have been working and motivating the steemians to vote for STEEMCHURCH. ....I wanted to take the opportunity to invite him to support @STEEMCHURCH in the 20K SP delegation sponsored by @theycallmedan. To which Steem project should I delegate 20k SteemPower for 1 year? That would be very great for everyone to whom this account gives support. And much more great for all Venezuelans who support her in her great work. Here is the link to vote: To which Steem project should I delegate 20k SteemPower for 1 year? Thank you @juanmolina and @lanzjoseg for your support, also to all members of both communities. Very well said your Grace. There were a number of matters here you addressed. Some wonderful - a demonstration of the vision of SteemChurch. Some unfortunate - unfortunate that some have put 'winning' ahead of Church values. Though sometimes the young and over-zealous, act impulsively. You continue to exemplify all that is admirable about the SteemChurch, our parishioners and our culture your Grace. Beautiful initiation, I love more and more the blockchain and all the people who are part of it. I support what @crypto.piotr community supports. Thank you for having mentioned me, dear friend @emiliocabrera. Here we are willing to share all our effort and all our desire for the achievement of common goals. It is noble causes that have united us. God is with us, then we will triumph. It's a well-deserved mention @juanmolina, I saw your support for all the publications of the Church. Thank you for the mention, it is a great pleasure to be able to help all those who God puts me in front to help. It should be noted and a great recognition to our friend @crypto.piotr a great person who also helps many in a disinterested way. I hope you can visit my post. The strength is in the joining. Steemchurch is an excellent community with a leader, @SirKnight of good heart always willing to help the most disadvantaged, I learned of him a lot is a man of broad vision, fair, knowledgeable of unity. We also have a great team of Apostoles, priests, CEO, trained by our leader to carry forward these alliances with just purposes of freedom, love and prosperity. Very good post @emiliocabrera, as he said @Sirknight "exemplifying everything that is admirable about the Church Steem, our parishioners and our culture." Thanks SK, Thank you EC excellent work. Thank you EC, for your this great post, unity is our hallmark as steemchurch parishioners- We can stand firm if we are united! Lets all be in one mindset with a common goal, Amen! Alliances for the purpose of expansion, peace, love, unity that marvels. They were my inspiration for my post today. Great message you present to the world brother EC, we are trusting that many people from Steem will help this country. God allow this alliance to impact lives everywhere. I believe that this alliance will allow both communities to grow stronger. "It's not so much about supporting religious organization. It's just a group of people from all over Venezuela, who are supporting each other and their driving force is CEO and also founder of @steemChurch. My goal is to help them grow only so I could introduce several of my own Venezuelan friends to those people (so they can build some local contacts). And as for me .... together with few other friends (all of us blockchain freaks) we will take under our wings those guys from their community, who have some decent english skills and knowledge about crypto and we will help them also grow on Steemit. So by helping them win that delegation Im trying to build trust between both communities, which will allow us to grow stronger. That's anyway what I choosed to believe :)"
Would you be kind to support @steemchurch and help them win 20k delegation? Wonderful invitation, reflection brother Emilio, I am proudly Venezuelan, I live in Venezuela, since March 2018, I am part of this special and great community like Steemit and Steemchurch, it has allowed me to learn a lot especially values and principles, always for the good, framed in faith, love, respect, union and enthusiasm to be every day better and highlight justice, humanism, faith and responsibility. Grateful for the support received from this great community, its followers, promoters and even more from its creator with all respect of the great gentleman @sirknight and @emiliocabrera for their innovations and inspirations to participate in this group and support the most needy in the world. I would like to thank you for accepting my invtation to Emilio's post about our alliance and for dropping by. Appreciate your reply. I'm currently supporting SteemChurch community with their efforts to receive 20k SP delegation. Perhaps you could help? Please check out this link and drop a vote on SteemChurch. I am up to this! May God help you in this matter! Steemchurch is an excellent community. Thank you for mentioning me friend @emiliocabrera. Willing to support you for this wonderful community, keep it up. Hola Emilio. Soy colombiano, pero me parece muy noble esta causa, la verdad no tengo aún mucho poder para delegar, pero gustaría ayudar aunque sea votando por Steemchurch (pero, no sé cómo) . @ crypto.piotr me envío un mensaje pidiendo que me diera una vuelta por tu post y espero Dios bendiga este gran proyecto. Bendiciones desde Colombia y un fuete abrazo. Hola jorcam, un placer conocerte, amen a tus bendiciones. I thinks it's an amazing step. I will be supported this project. Thanks for Knock me. hola soy venezolano y agradezco mucho si proyecto. Excelente iniciativa, en lo que se pueda ayudar estamos dispuestos a hacerlo. Dios les bendiga y que esta obra crezca dando muchos frutos. Hi Brother @emiliocabrera, I agree with your words, it is an instant thought that nobody cared about the difficult situation of the country. But here we are seeing people with a great commitment to really help the needy. We care a lot and brother @ammarn ... I know that many people are waiting for someone who really helps them. You, me and everyone, we can achieve it. Thank you for this beautifully written post. It is an honour to work alongside @steemchurch for this competition and we are seeing a very close race ;-). Our sincere love goes to the people in Venezuela in their daily struggle and to overcome the divisions that have arisen amidst them. Thanks @help.venezuela, also the honor is ours to find communities with altruistic characteristics like yours. Let's keep opening steps and reach the goal. Thank you CEO for this prompt. Indeed, @Steemchurch stands for integrity and in it would we attain victory. Alliance with @Help.venezuela and @Crypto.piotr is a huge blessing. me encanto leer este post y ver a tantas buenas personas involucradas por un mejor futuro. Apoyo este proyecto con mucho cariño. Vine acá pensando que me encontraría con publicaciones en idioma español que explicaran estos proyectos y alianzas. "Hola amigo! :) Dear @reyvaj, I've noticed that you're a Spanish speaking person and I decided to reach out to you and introduce to my Venezuelan friend @emiliocabrera. He just published post about our ALLIANCE of 3 AMAZING STEEMIT COMMUNITIES (2 of which are from Venezuela). We would like to welcome you and hope you can become part of our journey. Yours, Piotr. LINK: // https://steemit.com/venezuela/@emiliocabrera/alliance-with-purpose-steemchurch-and-help-venezuela-joined-by-the-20k". Pero tus publicaciones son en inglés, así que no entiendo. Gracias por pasar @reyvaj, es un placer! Escribo en inglés porque trabajo para una comunidad Cristiana internacional, #steemchurch, muchas personas nos congregamos virtualmente allí. Pero utilizamos el inglés como idioma central. Ok, Emilio. Quería ver si podía enterarme un poco más de vuestro trabajo. Gracias Reyvaj, nuestro trabajo se basa en invertir las recompensas steem en proyectos sociales, donamos medicinas básicas, tambien construimos algunos cuadernos para los niños de las escuelas con mayor necesida, y actualmente estamos apoyando la agricultura. Sembramos maiz con la intención de apoyar los comedores populares que ayudan a las personas con comidas. Indeed, it is purposeful. Iron sharpeneth Iron, this is what I see in this alliance. Thank you @Emiliocabrera for your roles on this. Hello @emiliocabrera! This is a friendly reminder that a Partiko user has just followed you! Congratulations! Hola amigos, estou aqui para ajudar. Gracias por haberme mencionado, querido amigo @emiliocabrera . Aquí estamos dispuestos a compartir todo nuestro esfuerzo y todo nuestro deseo de alcanzar objetivos comunes. Son causas nobles las que nos han unido. Dios está con nosotros, entonces triunfaremos.